Forget Yachts, Billionaires Now Want THIS! 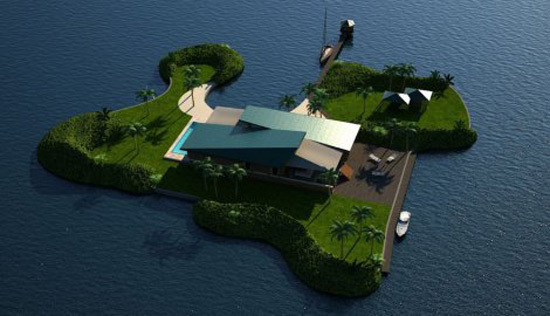 Billionaires who don’t know how to spend their vast amounts of money will soon be able to purchase no less than their own portable island. Christie’s International Real Estate has announced plans for the world’s first floating islands, which will initially be built in the Maldives. Although the price has not been revealed, a chain of artificial atolls called Amillarah Private Islands, will be “extremely high class”, self-sufficient and eco-friendly. Christie’s plans to sell off islands around the world, and Dubai and Miami have already been identified as the next market. 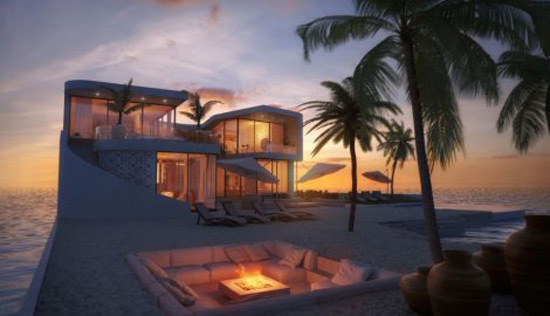 Customers will be able to customize the island according to their own will, with private beaches, luxury accommodation and swimming pools just a few meters from the sea. Real estate agency also hired Jean-Michel Cousteau’s Ocean Futures Society to assist on design and research and to ensure that the islands preserve the environment and provide new underwater habitat for marine life. Dan Conn, CEO of Christie’s International Real Estate, said that the ability to develop an island on the water surface is evidence of the skills of the Dutch company” Dutch Dockland ” in this area. “Customers are able to adapt the shape and size, and style of their stay in the widest spectrum of locations, starting with the first opportunity in the Maldives”, Conn said. “Dutch Docklands“, the company specializing in building on-water residences, already develops the famous resort called the Ocean Flower in the Maldives. 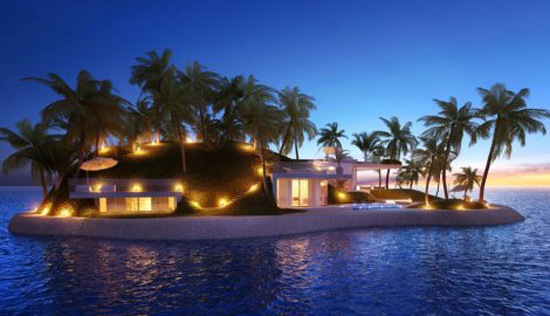 It will include 185 villas on the water with private pools, restaurants and shops.